Love it or hate it, Microsoft Excel is still a pretty entrenched piece of software for most businesses. And for good reason. 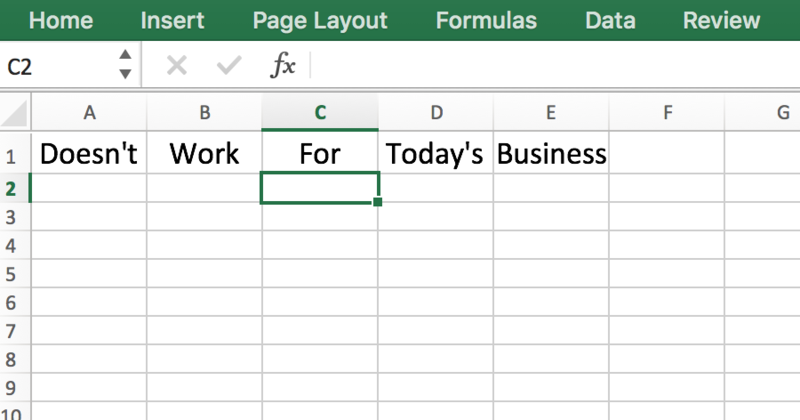 When you stop and think about it, you realize Excel is a lot like an old family friend. It’s hard working. Pretty reliable. But maybe not 100% living in modern times. This post will take a look at Excel in a modern context and will show you why so many companies are moving away from it. We’ve talked about it a million times before, but it bears repeating: the goal of every company is to get as much quality work done as they can as efficiently and cost effectively as possible. VeilSun understands that perhaps better than anyone. After all, that’s the whole reason Quick Base was invented in the first place. So, it makes sense for you to bring a developer on full time in house, right? Well, not so fast. This blog will take a look at that idea along with some of the benefits of outsourcing your Quick Base development. Microsoft Access has been a stalwart in the database space for years. Ever since its debut in 1992, businesses everywhere have trusted it as their go-to database management system for workflows and data tracking. But, as with all things technological, if it doesn’t evolve, it dies. And that’s what we’re seeing with MS Access now.